HomeIs EMV ‘A Colossal Waste of Time’ for Retailers? Before saying “EMV Return on Investment Unlikely for Retailers” we should consider some points. The only thing that surprises me about this “glass half-empty and cracked” view is that we did not see it earlier. Surprise surprise, everything has a business case. Sometimes it is clearly positive, others more difficult. EMV has always been in the more difficult bucket. It is an infrastructure change, not just a few tweaks. It should have been treated more seriously and realistically. Of course it comes down to how you measure this and what you want to prove. It is easy to prove a negative position. More challenging to demonstrate a closer to break-even or soft benefit. We have known about it coming for a long time. Just because the US market did not want to do to it and now has to and more quickly is whose problem? Like everyone else had to, you plan for it, you build a fully loaded business case as best you can with all major costs to be incurred and those already spent as part of the longer journey. It is a corporate responsibility to address the challenge head on. You also factor in the real and softer benefits. Some are financial and tangible, others are less clear, more emotive, softer, longer-term, but still important. You try and incorporate hardware and other changes into normal replacement cycles. Back-office and operational impact are significant and should not be underestimated but often lead to greater efficiencies being achieved. You factor in not just the counterfeit and hopefully lost stolen fraud reduction benefits, but reducing/removing nervous issuer auth declines, disputes and chargebacks, non-compliance penalties, operational efficiencies at POS. 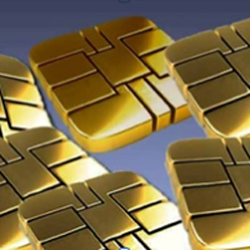 EMV contributes to reducing data compromise challenges and the PCI burden. EMV gives not just liability shift but also other economic transaction level benefits, including pricing incentives, contactless, etc. You squeeze the acquirer processor, vendors, card schemes, others for support. The perception of taking payment security resonates with consumers, your customers, media and across the industry and further afield, e.g. regulators and government. There is deterrent factor and first mover advantage. There is a benefit to demonstrating that your POS environment is modern and fit for purpose to observers and onlookers and not just a convenient source of compromised card data. This subject was never going to be easy, but it needs a more open discussion. Don’t get me wrong I appreciate the concerns, I have been there. Yes there are significant costs to be considered the cost of doing it. But what about the cost of not doing it? Author (Kevin Smith) is an eminent risk specialist who is expert in risk review, risk management, compliance solutions, emv chip and pin risk review, anti-fraud solutions, etc. and have helped lots of organizations worldwide save millions detecting risks and providing necessary solutions. For more information about EMV Chip and Pin in USA, all Ifs & Buts , Risks & Benefits visit here. Also read here comment on EMV Chip and Pin by Bill Trueman, an eminent fraud, risk and payment specialist.